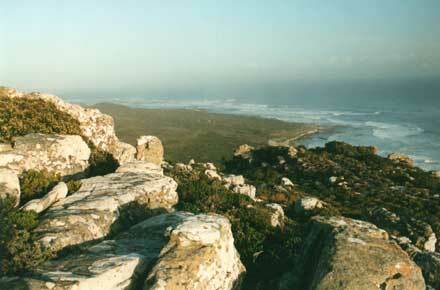 The magic of this place is its combination of Ocean beauty, fabulous fynbos vegetation and historical resonance. There is a variety of trails, but the best takes you along the booming cliffs and beaches of the Atlantic coast, then turn inland, through changing bands of vivid and varied fynbos. The Cape of Good Hope has had resonance for travellers for centuries, "rounding the Cape" a key and risky landmark on the routes to India, Australia and the Far East. 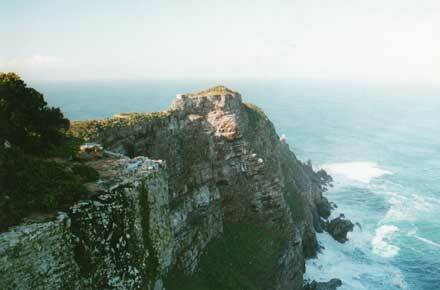 Cape Point is always crowded and has an unpleasant baboon population. Despite that, this is not a walk to miss. The Cape of Good Hope has had resonance for travellers for centuries, "rounding the Cape" originally and aptly named the Cape of Storms - a key and risky landmark on the routes to India, Australia and the Far East. Diaz was the first to accomplish this in 1488, and died in a wreck here in 1500. Vasco da Gama rounded the cape in 1497. 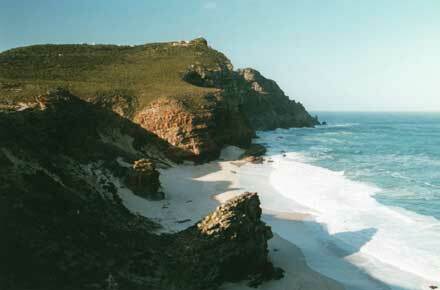 The treacherous coast is littered with wrecks and the Flying Dutchman is most frequently seen off Cape Point. 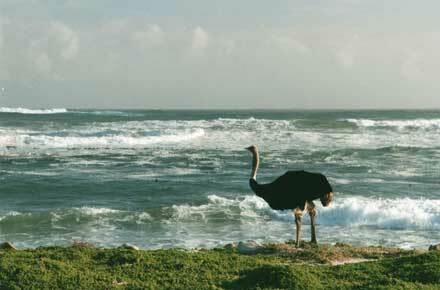 The Cape is often thought to be the southernmost point of Africa, but in fact this prize goes to a stretch of beautiful but landmark free coast some 150 km to the east. 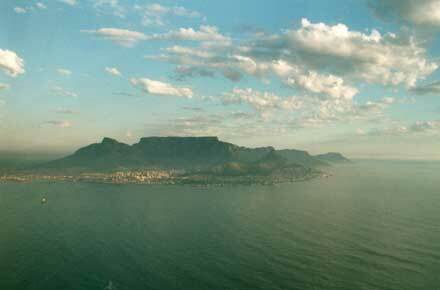 The Cape is, in contrast, unforgettable, the wild terminus of the 75 km Cape Peninsula which narrows from Cape Town and the extraordinary Table Mountain to the beautiful national park at its southern end. 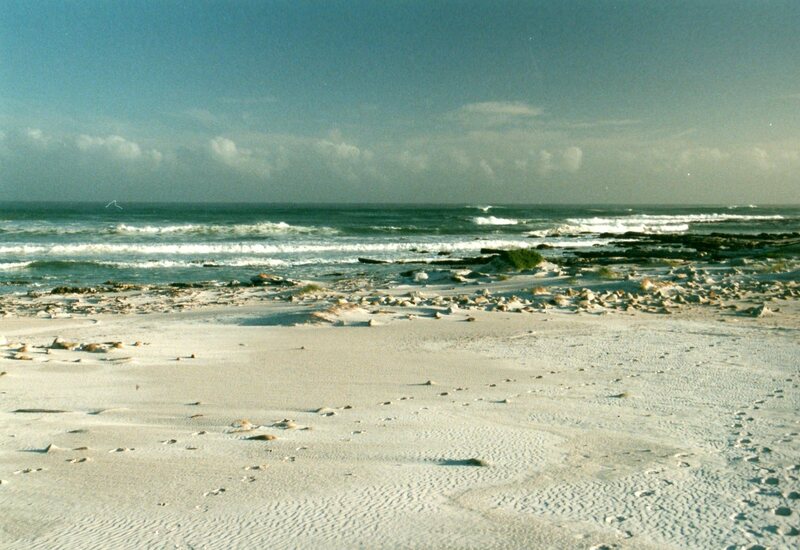 The Cape area is home to the Cape Floral Kingdom, one of the world's six major botanical zones, and its richest one, harbouring an extraordinary diversity of plants in a relatively tiny area. 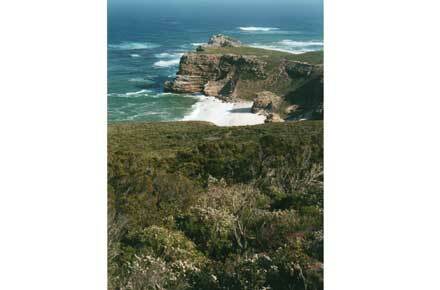 On the Cape peninsula alone, there are said to be over 2,800 species of plant, more than in the whole of the UK. Known as fynbos, this vegetation includes proteas, ericas (heathers) and reeds and is startlingly beautiful and vivid on a bright day. 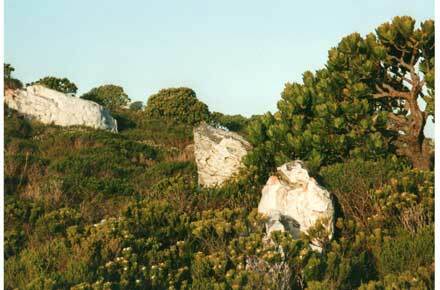 There are numerous trails in the area, but the best route runs from Cape Point in the south along the western shore, then turns inland and threads through the fynbos vegetation to the park entrance in the far north, a long four hour's trek. At Cape Point, the spectacular rocky spine where the Cape peninsula peters out into turbulent waters, the cliffs fall sheer into the surf. 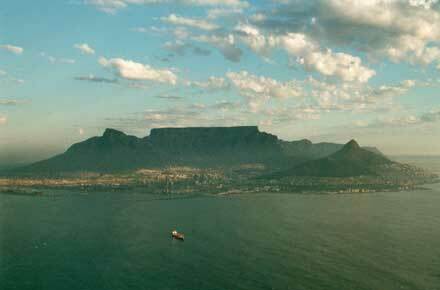 The views here are superb and the lucky may see a school of dolphins or a southern right whale far below. A path drops down past the unpleasant, swollen-arsed Baboons which prowl around the carpark at the base of Cape Point, then winds through gorgeous fynbos, around the cliffs above the perfect Diaz Beach, immaculate white sand, to the real Cape; just as The Cape is not the southernmost place in Africa, so Cape Point is not, despite looking the part, actually the Cape of Good Hope, which is a comparatively modest pile of boulders a mile or so to the south-west. The path follows a magnificent curve of shingly beach for perhaps 3km before climbing onto the plateau and entering a different world. 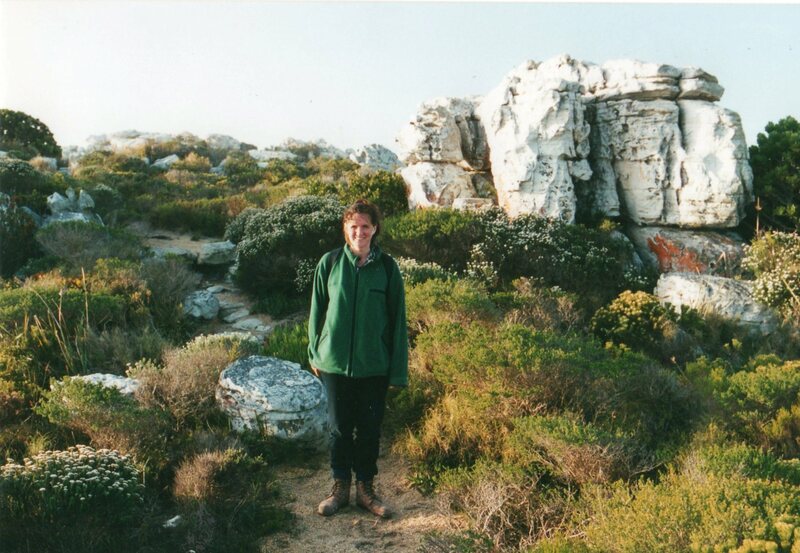 The fynbos is superbly vivid and varied here, a really wonderful experience to wander through. The path turns north along a good track through the bush, which gradually shrinks to lower, drier scrub. After a few flattish, beautiful but relatively uneventful miles, the track winds over a small rocky ridge and snakes down to the park entrance. There are antelope, a few bountebok and cape mountain zebras here, as well as Cape clawless otters.